Customer interaction proves necessary in any business and if handled untactfully can harm a business’s reputation and financial stability. The essential component of this process is maintaining a smooth flow of conversations with the customer and observing the data cycle till a client is satisfied with the services you are providing. Keeping checks in this process becomes difficult once the customer base starts increasing. Meeting the client’s demand itself becomes very time-consuming let alone sparing any for maintaining this log. So business owners prefer to carry out this task with a smart and efficient tool which minimizes the input. Drinkle is one of a CRM tool for small business which provides excellent services for business to maintain a check on their customers and helps in building stronger bonds with them leading to customer retention. 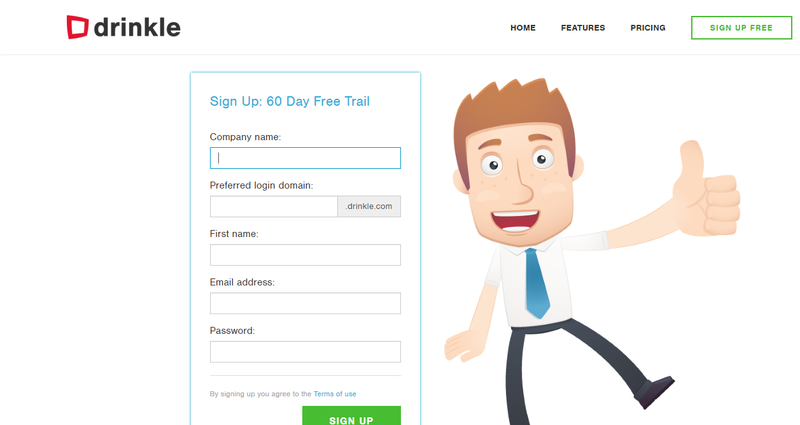 Free Plan: Drinkle lets you create a single user account for free. A user can continue using it for any period. Paid Plan: This plan costs INR 700/user/month or INR 3500/user/year. This plan is applicable for multiple user accounts and is best suitable for medium and large businesses. Drinkle allows easy sign up with your company name and credentials and even has an option to set up preferred company domain. Drinkle gives you a fully loaded dashboard from which you can take on project management, spreadsheets, notes and customer relationship management. It also provides a sample project to familiarize you with its features and functionalities. 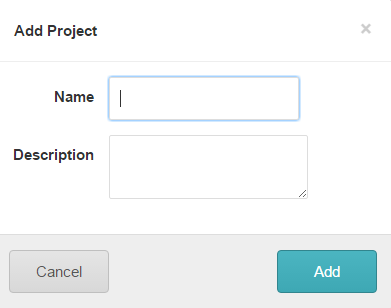 It has an option with which new project is created, and the central panel can shift between your projects and tasks. This option lets you create a new project within the tool. You can provide an appropriate name and description so that other users in multiple accounts can easily get the gist of the project. Each project contains sub-modules through which it becomes easy to manipulate and keep a tab on the process. Tasks, Activities, Users, Related and Details sub-modules are available with an option to add a new task. It is a very helpful option and lets you manage the leads in every project, how many are closed and what is remaining in the pipeline. Lead is an innovative feature which doesn’t let you miss out anything when it comes to customer demands. So when you finally return to the customer, you have all the tasks done which ultimately amounts to customer satisfaction. 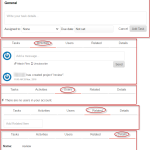 Users can also view details of a lead with the option of editing, deleting, mark dead and activities related to it. Drinkle has an entire option dedicated to stocks where you can import new products, add new product and delete any product. You can also view the details by clicking on any row of the table. Every project has some details and points to be kept in mind. 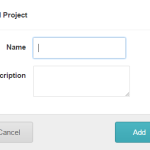 Since Drinkle aims in centralising all these concerns, it provides a notes option to make a list of points you have to remain in memory about the project. 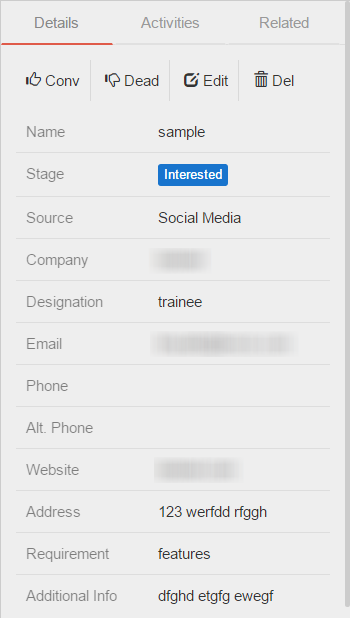 You can also insert images, table, and hyperlinks to keep all relevant information in one place. Almost every project requires spreadsheets to be maintained, may it be of users, products or any other element. Drinkle has kept this need in mind and provided a separate option where users can interactively create sheets. You can save all your related contact in Drinkle, and also it allows you to import contact to save the extra effort. 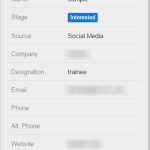 You can also mention the activities and details related to each contact to remain updated with them. Currently, the tool doesn’t integrate with other channels. The tool provides support via Emails. It Allows to import contacts and products for stock management. Ability to send quick messages. Comprehensive features to keep every information together and co-related. Sheets option not capable of advanced computation. No other choice to import sheets. 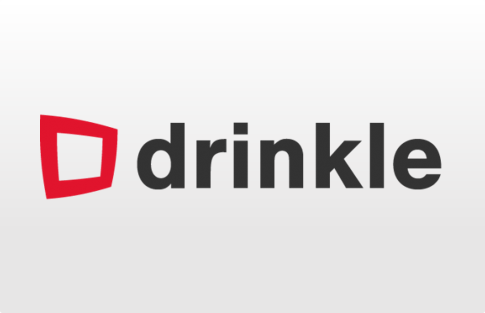 Drinkle take customer relationship management to a new and extended level. It incorporates project management tools and spreadsheet capabilities to come up with a comprehensive solution and that too at a very modest price. Activities log an excellent way to maintain and check progress and tasks make sure that you do not leave out anything. For more details, please visit Drinkle website.